Butane and propane are both types of gases which are used for industrial and house-hold purposes. They are very common and can be used in stoves, ovens, heaters and even car engines. Butane and propane has similar qualities because of which people often confuse about them and consider them the same. 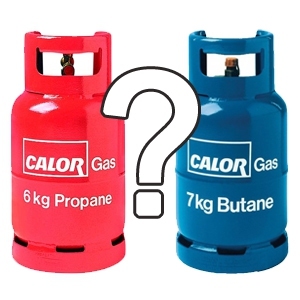 There are certain differences between butane and propane which could either be advantageous or disadvantageous depending on how they are being used. Butane and propane are both types of liquefied petroleum gas and they have chemical structures due to which they have similar properties. The butane and propane's similarities can be found out easily. Both are extracted from petroleum in oil or natural gas form. When combusted, they produce carbon dioxide, water, carbon monoxide and soot. Both are used to fuel vehicles and for heating stoves. Now that we have looked at the similarities, we will look at the differences in butane and propane. We will start off by looking at the properties of butane. Although propane is more popular, butane continues to be used as a fuel source. It is used as a fuel in stoves, cigarette lighters and even in aerosol sprays as a propellant. Besides, butane is cheaper than propane, but comparatively, it is more difficult to use, so it is not very commonly available and not many gadgets, devices are designed to be used with butane as fuel source. But you should know that butane is more efficient than propane when used as fuel. If same volume of butane and propane is burned at temperature above freezing, butane will end up providing 12% more energy than propane. Thus, butane can be the preferred choice when it is available in adequate amounts since it is energy-efficient and also has an advantage of cheaper price. Unlike butane, propane is available more easily in small portable tanks and is used widely for heating houses. It is used as a fuel in gas barbeques, lanterns and camping stoves. Automobiles run on liquefied petroleum gas or LPG which is made by mixing propane with other fuels like butylene, propylene or butane. When the fuel needs to be stored for a long time, propane is a better choice than butane. It stores well in variable weather conditions and even below freezing temperature will not affect the storage conditions of propane because of its propetries. When people need to go camping, hiking or mountain climbing, especially in cold weather, propane is preferred over butane as a fuel for cooking. Since propane gas is odorless, leaks are harder to detect. For this reason, ethanethiol is mixed with propane so that leaks can be easily detected. Server responsed at: 04/19/2019 11:13 p.m.